Figuratively speaking of course. We have been away for a week in September and for most of the summer our attention has been on the house renovation. Suffice to say gardening and the garden has taken a back seat. And there were days that all we've done outside is a quick look once over before we hurried back to carry on with work in the house. But even if we weren't looking we're glad the garden carried on growing. 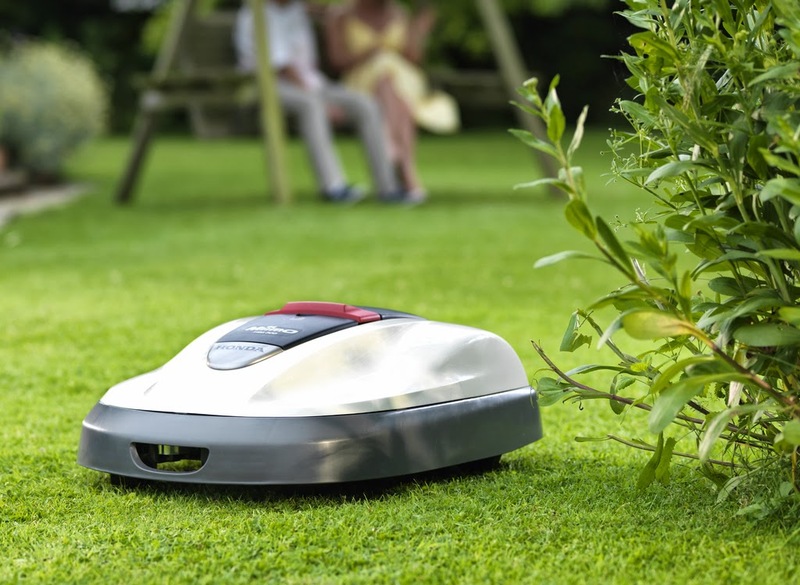 As regular readers will know we no longer have a lawn in our garden, which combined with our love for gadgets made us wish we still had one when looking at the Miimo, the robotic lawn mower from Honda UK. When we did have lawn - the last section of grass was prior to building the filter house for the koi pond - it was mown the traditional way, by me! However the Miimo takes over the grass cutting duties, automatically cutting the grass several times a week, providing the weather is good enough. This is not the first robot mower of course, there have been several others available in the UK for a number of years, Husqvarna have had one since the mid 1990's. Where Honda have the advantage is through the use of genuine robotic technology, most people will be familiar with the humanoid robot Asimo that featured on QI with Stephen Fry. 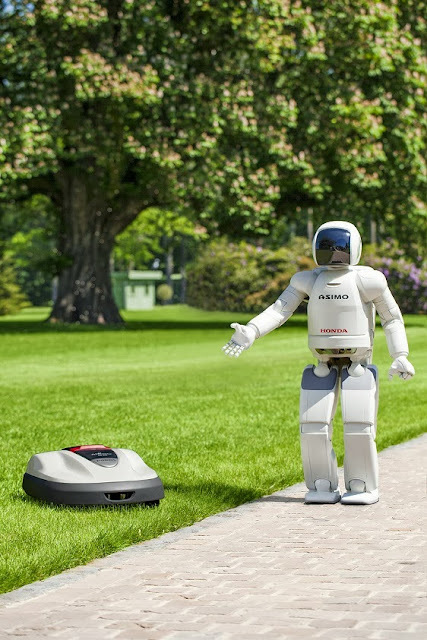 The technology that Honda have been developing with Asimo is not just for publicity such as TV appearances, there is genuine real world applications. One such application is the Miimo, which unlike other robot mowers is able to "see" obstacles and avoid them rather than bump into them and then reverse to go round which is the common approach with most other automatic mowers. So other than looking good and having some clever technology, is the Miimo actually a god mower. It is still a fairly new product so looking for long term reviews is difficult. However the early indications are all positive. Miimo doesn't collect the grass clippings, instead it chops them into a fine mulch which it spreads on the lawn. Whilst there has always been a debate over whether to rake up clippings or leave them, the Miimo chops them so finely that they fertilise the lawn. From reading a number of reviews of the longer term effect of this chop finely and disperse approach (admittedly reviews of other robot mowers) most agree that this does have a beneficial impact on the health of the lawn. In terms of cutting the lawn itself Miimo has number of options it is able to cut in a random pattern, which is most best when mowing larger areas that contain a number of obstacles or complex borders. Honda explain that this produces less stress on the lawn which should lead to healthier grass. Alternatively you can tell Miimo to follow a particular directional pattern, which can be used when mowing areas with simple, straight borders and minimal obstacles. Finally the mower can follow mixed mowing pattern that gives a combination of both approaches. The mower is also weather proof and has its own charging station, where it returns to charge up, its quiet and energy efficient too, one estimate of power usage I read was that the estimated running cost for one summer is in the region of £12. That said this is not an inexpensive gadget, with prices online from £1990, although is competitively priced compared to similar mowers from other manufacturers. So now all we need is a robot gardener to do the rest of the chores! We are giving one reader the chance to win a £50 gardening voucher. To enter tell us what gardening task you would love a robot to be able to do for you. Terms and conditions: This competition closes at 23.59 on 7 October 2013. Any entries received after this time will not be counted. Entrants must be UK residents aged 18 years or older to enter. By entering this competition you agree and consent to your name being published and by taking part in the competition, entrants are deemed to have read, understood and accepted all of the Terms and Conditions and agreed to be bound by them. The winner will be selected at random from the correct entries and will be announced here on the blog. Please make sure we are able to contact you if you do win, as we will need to arrange for your prize to be sent to you. 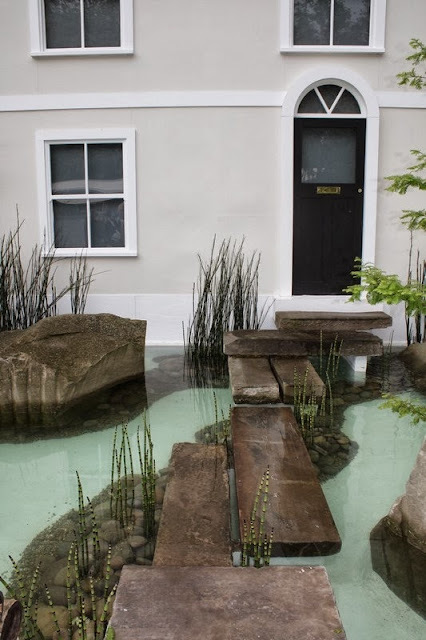 I never realized how pumped up I must have been with adrenaline and other stress hormones until we went away in the middle of the house renovation, relaxed, then came back and found that it took me a few days to get into the loop again. But it was a very enjoyable time away from it all and we had a blast suffice to say! We're hoping to sort out the photos in the following days to come and will share them soon. At least now we have the mass photo re-sizing transferred on to our little laptop and we can conveniently do it there. Unlike before where it was only on our desktop computer wherein at the moment you have to move loads of stuff away just to be able to use it. On our flight to New York there were a few irritating passengers, obviously in a holiday spirit (or is that too many spirits?) who were belting out 'New York, New York' and 'New York State of Mind'. Come on guys, let the other passengers get some sleep (or at least have some originality)! But on our way back home I was discreetly humming to myself 'Bye Bye Miss American Pie' (Madonna's version of course). America is a colossal country, and each state is a country in each own right with its own culture, and New York City is just a small fraction of New York State but is a good taster of what else is in store for the rest of this amazing country. We're intrigued and we're looking forward to exploring it even more in the future. We'll be back soon for sure. Our last day in New York and we are sat in the grounds of The New York Botanic Gardens. How great is it to have wifi sat in a garden! These are just be a quick unedited snapshot of the garden and a full post will be shared with you all on our return. Running for about a mile on the eastern Side of Manhattan on a former elevated railway line is one of New York’s newest Parks. The High Line is a fantastic example of urban renewal as the former railway tracks make way for trees, grasses and pathways. The elevated railway had opened to trains in 1934, but by the late 1970s the line was underused with the last train running in 1980 – pulling a cargo of frozen turkeys! During the 80’s various business owners lobbied for the tracks to be demolished. Abandoned for years but thankfully not demolished, the tracks became home to tough grasses, and trees, by 2004 the city of New York recognised the potential in the High Line and $50million was earmarked for its redevelopment into a public space. 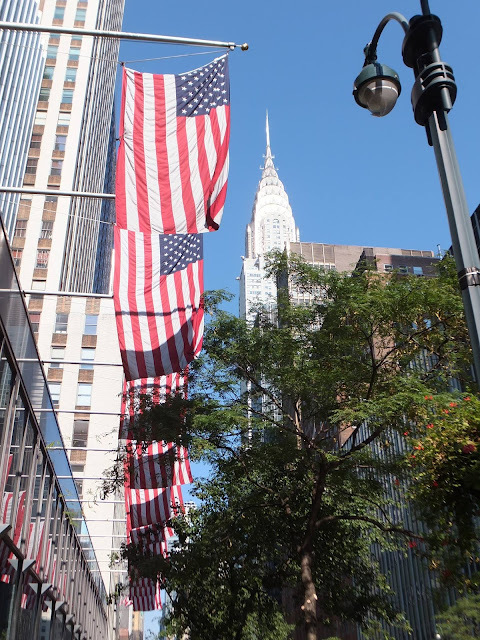 We finally made it across the pond and after a long flight and an hour’s yellow cab ride to 42nd Street we checked in, dropped our bags, freshened up and decided we needed some…brunch! The weather is looking so fine here in New York City and what better way to start our stay here than a spot of alfresco eating in a park near to where we’re staying. So past the Chrysler Building and buying some sandwiches and pastries at Grand Central Terminal we settled down just a few minutes after in a perfect spot at Bryant Park, a charming little green oasis nestled in amongst the towering skyscrapers of midtown Manhattan. We are looking forward to a fabulous week ahead! The lovely people at Serenata Flowers, an award winning online UK florist & plants shop are offering one reader the chance to win a £40 bouguet of flowers of their choice. 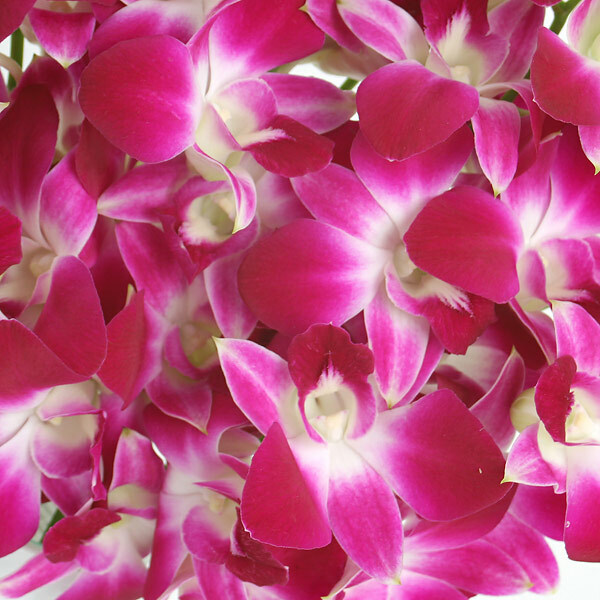 You can choose the flowers that you like best, whether thats Orchids, roses or something else. 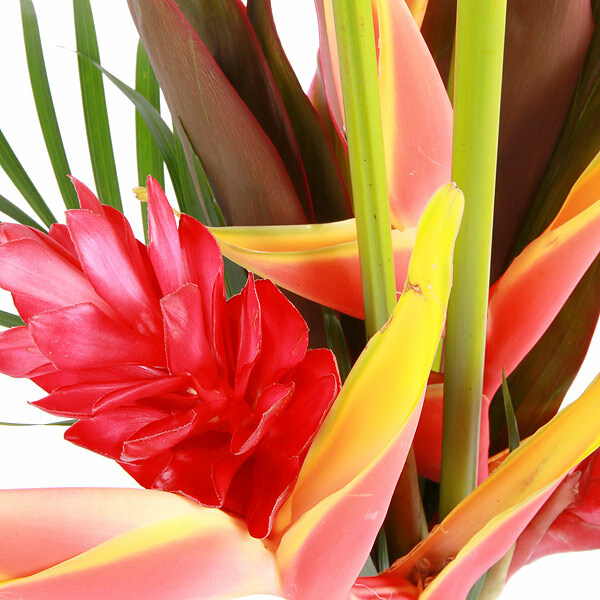 How about a touch of the exotic with the aptly named Amazonia bouquet. So to enter, simply tell us your favourite flower and why you like it. The winner will be selected at random from all entries made. Terms and conditions: This competition closes at 23.59 on 20 September 2013. Any entries received after this time will not be counted. Entrants must be UK residents aged 18 years or older to enter. By entering this competition you agree and consent to your name being published and by taking part in the competition, entrants are deemed to have read, understood and accepted all of the Terms and Conditions and agreed to be bound by them. The winner will be selected at random from the correct entries and will be announced here on the blog. Please make sure we are able to contact you if you do win, as we will need to provide your details to Serenata Flowers to arrange for your prize to be sent to you.